We have posted before about the use of assistive technology and in particular telecare. 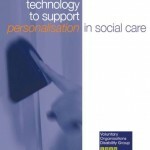 This week sees the publication of a new report from the Voluntary Organisations Disability Group (VODG) and the National Care Forum (NCF) which describes a number of projects which offer technological solutions to enhance personalisation. Telehealth – concerned with remote patient monitoring, for example using point of- care technologies to monitor a patient’s physiological status and health conditions. Assistive – or personalised – technology – which refers to the use of personalised equipment to meet daily needsand can include mobile technology and communication aids. Here at Elf towers, we wanted to draw your attention to a couple of the projects in the report which feature support to people with learning disabilities. Firstly, Hft’s virtual Smart House, which shows many of the assistive or personalised technologies available. There is a fingerprint recognition system that allows entry to the house, and a voice prompt and door sensor to others in the house of any new arrival. There is also a *bogus caller alarm’ linked to a call centre which can be used to alert supporters of any unauthorised visitors.. There are a number of features in the house which are concerned with safety, for example a kettle which shuts off automatically after use, voice prompts from the fridge to help people avoid foods they are allergic to, or bath-plugs which change colour if the water is too hot and flood sensors which shut off taps. can’t manage a key open their own doors. on her phone to eliminate background noise and amplify speech as well as a vibrating pillow alarm and a flashing alarm triggered by fire and smoke, in case this person failed to hear the fire alarm. Support staff in the project also have a centrally located technology “hub”, which enables them to receive information from sensors in the flats and informs them, via a phone, when help is needed. The report’s authors suggest that assistive or personalised technology has a central role in modern social care, which should strive to encourage choice, control and focus on the needs of individuals. 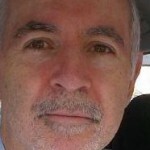 Lack of awareness of assistive technology on the part of the public.